BANGLADESH has a large population, but the educational facility for this huge population is very limited. The facility for higher education in particular is not up to the mark in many places. In spite of these difficulties lots of students from different countries come to Bangladesh for pursuing higher education, particularly in medical science. Most of the foreigner students who come here get admitted in the private medical colleges. There are more than 30 private medical colleges in our country although many of them do not have adequate facilities. Jahurul Islam Medical College is the usual choice for the foreigner students because the institute has proved itself to be unique in several aspects. JIMC is advancing fast as a well-known private medical college in the country. It was established in 1992 at Bajitpur (Bhagalpur) in the district of Kishoreganj. It is the second oldest private medical college in Bangladesh and the first to be situated outside the city in a rural area. It has been built with a mission to offer systematic and need based medical education and related activities to the students to become a good doctor, thus helping in socio-economic empowerment of the people of the society. JIMC tries to develop itself into an institution that will meet the health needs of the 21st century. Hence many foreigner students get admitted in JIMC. All the students, who come from abroad, are impressed with the college as it offers a good number of skilled and experienced teachers, better educational equipment, a big hospital and modern facilities. 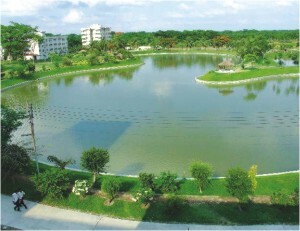 Moreover, it has a big campus and pleasing natural beauty, which includes a big lake, a playground, gardens etc. Students are proud to say that there is no politics in the JIMC campus. At present more than 100 foreign students are studying in different batches in JIMC. These students are mostly from Kashmir and West Bengal of India, Nepal and some other countries. On an average there are 15-20 international students in each batch. JIMC is completely a residential medical college, so international students do not need to think about their accommodation, which is apparently a great problem in some other medical colleges. The entire campus is situated within a single boundary so students don't have to face the hazards of transportation while attending classes or performing their hospital duty. Our Principal Prof Syed Mahmudul Aziz and Director Prof. Zahirul Islam Biswash both are very conscious about the problems and difficulties faced by the international students in this new environment of the campus. Most of them have no previous experience of a hostel life, so some of them face problems at times, but the strong steps taken by our hostel super and Vice Principal Prof. Syeed Hasan and Deputy Director Bahar Uddin Bhuiyan is always helpful. The college authorities also arranges different indoor and outdoor games and various cultural programmes throughout the year. Moreover every year we arrange a tour of different countries from our college. Last of all, I think JIMC is one of the best medical colleges among the private ones in Bangladesh, because here one is made to wonder and not forced to learn, one is invited and not cajoled, one is motivated but not threatened to become what they need to become. I am glad that I am a student of this college. Yes it is true that there are problems , but nothing is perfect and still we have to make the best out of what we have.